Sekeping Kong Heng generated a lot of curiosity when it debuted last December, for good reason. Do I start with the deliberately left-as-is walls with exposed bricks and century-old fig trees, the avant-garde features like meat hooks in place of hangers or the audacious glass shower boxes with only creepers to hide your modesty? Bearing all the hallmarks of landscape designer Sek San’s industrial chic style, the Sekeping guesthouse pays homage to the original building’s roots as a hostel for travelling actors who performed at the Chinese Theatre next door. 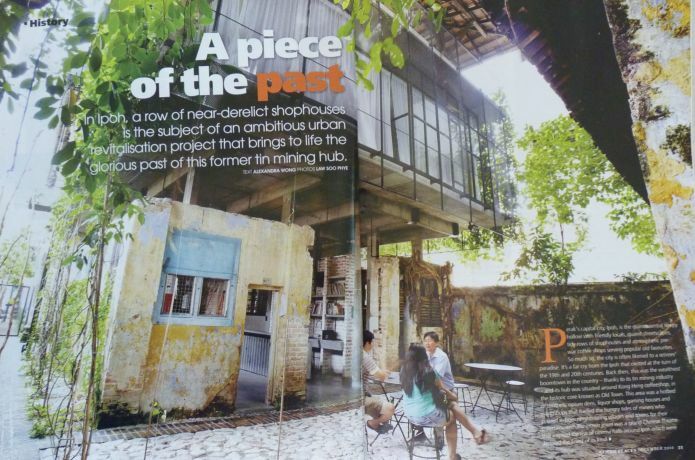 During the first two decades of the 20th century, Ipoh was not only the biggest revenue generator in the Federated Malay States, but also its de facto “good time town”. 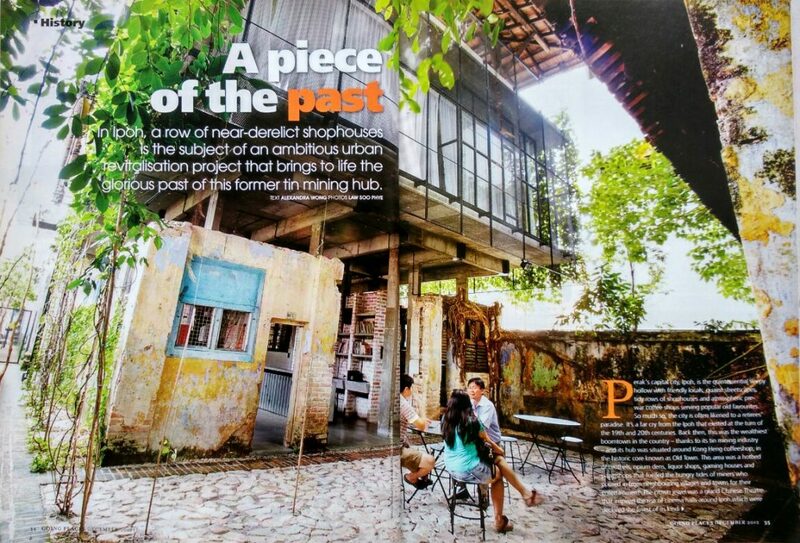 This seven-page spread in the Dec 2012 issue of Going Places highlights the bold attempt by a bunch of idealistic Ipoh boys and a sentimental KL-born architect to revitalize Ipoh’s moribund old quarter, starting with the pre-war buildings that make up the 2000 sqm Sekeping site.